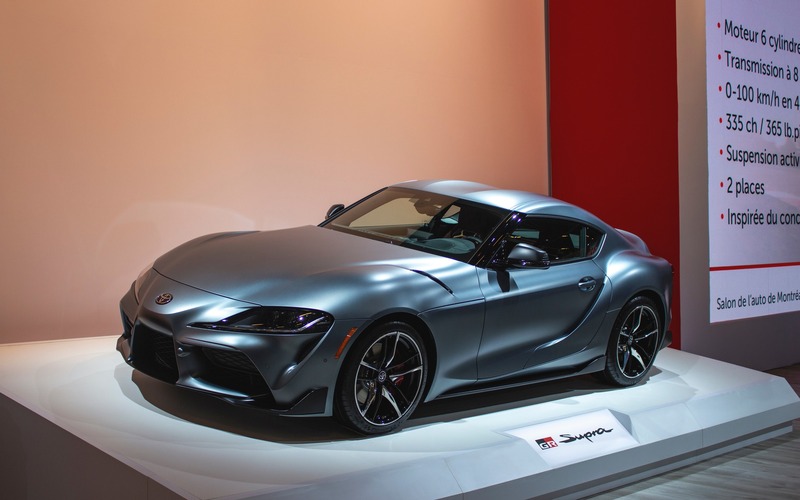 The Car GuideAuto ShowsMontrealThe 2020 Toyota Supra Unveiled in Montreal! The 2020 Toyota Supra Unveiled in Montreal! The long-awaited 2020 Toyota Supra made its Canadian debut at the Montreal International Auto Show. Presented to the world in Detroit only a few days ago, the new Supra is equipped with a turbocharged 3.0-litre inline-six engine borrowed from BMW. With an output of 335 horsepower and 365 pound-feet of torque, it automatically becomes Toyota’s halo sports car. 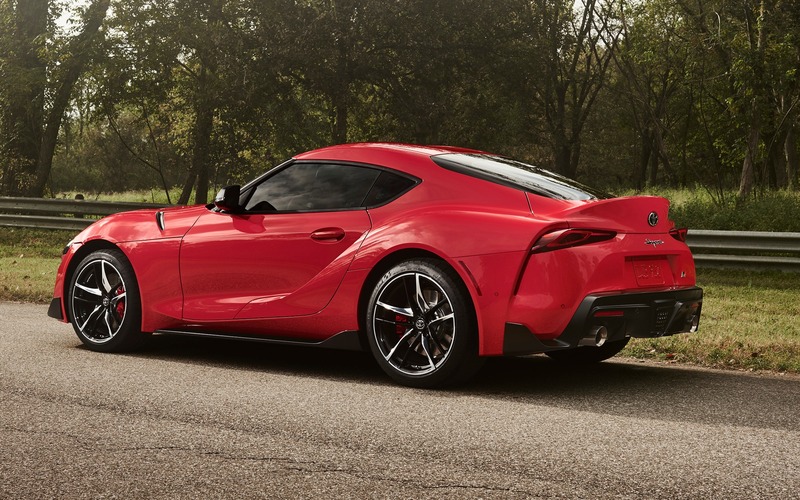 Matched to an eight-speed automatic transmission, this powertrain allows the 2020 Supra to accelerate from 0 to 96 km/h (0-60 mph) in 4.1 seconds and reach an electronically limited top speed of 250 km/h! And if you’re looking for the manual transmission, you’re wasting your time. Toyota confirmed that its new Supra will only be fitted with an automatic gearbox. A performance icon for Toyota, the Supra nameplate is back after a hiatus of more than 15 years. This new model marks the fifth generation of the Supra since its inception back in 1978. The 2020 Toyota Supra will arrive in dealerships this summer. Pricing hasn’t yet been announced. Completely redesigned, the 2020 Toyota Corolla sedan was also unveiled for the first time in Canada at the Montreal Auto Show. 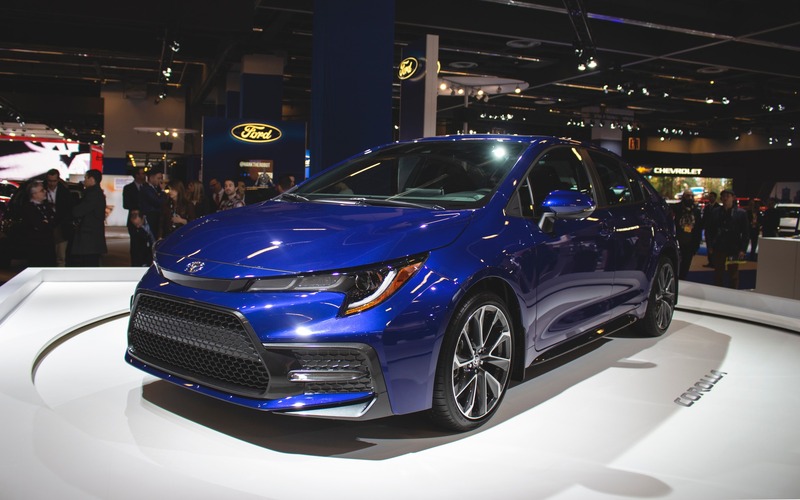 As with the new Toyota Corolla Hatchback, the 2020 Corolla sedan presented in Montreal is built on Toyota’s TNGA global platform. The Japanese manufacturer ensures us that the car’s structural rigidity has been improved by 60%. Under the hood of L, LE and XLE versions, we’ll find the 1.8-litre four-cylinder engine that equips the current-gen Corolla. A new 2.0-litre engine will be fitted to the SE and XSE variants, developing 169 horsepower and 151 pound-feet of torque. A hybrid version of the Corolla will also appear. In addition to the continuously variable automatic transmission, Toyota will continue to offer a six-speed manual gearbox. As standard, the 2020 Toyota Corolla sedan will include the Toyota Safety Sense 2.0 system. Its role is to reduce the risk of collision between a vehicle and a pedestrian or a cyclist. It’s all made possible thanks to radar and a camera system. It’s the twelfth generation of Toyota’s compact car.